Hello beauties! Looooooong time no see! I was pretty much preoccupied with work and *ahem* personal matters these days. 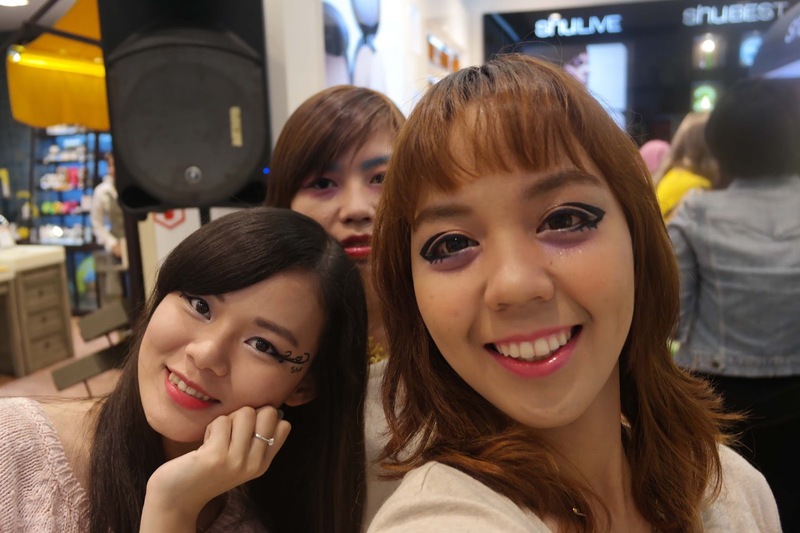 So, here I am, back on blogging world, and I am proudly present you my experience with other fellow beauty bloggers for Shu Uemura Make Up event last Friday! 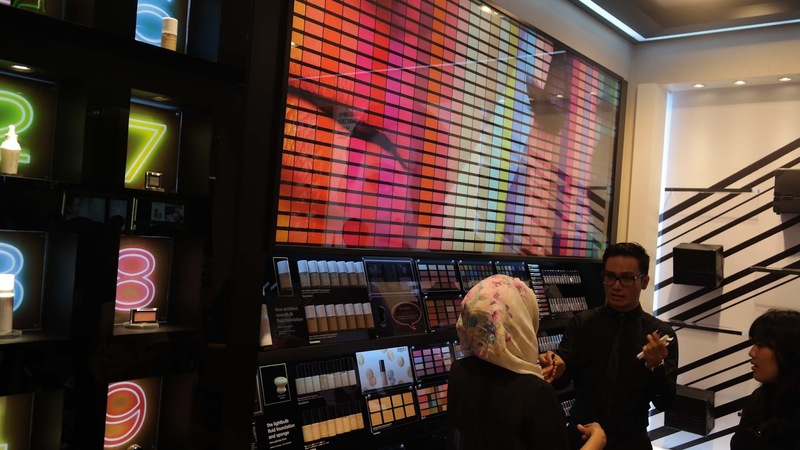 So, the idea of this event is for bloggers to create their own look by utilizing Shu Uemura's latest products; The Lightbulb Compact Foundation and Calligraph:ink Eyeliner. 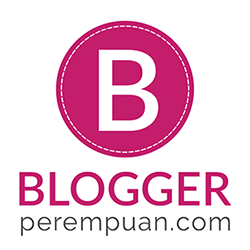 If you don't have any idea what is Calligraph:ink, take a look at this video below, dear! So, the moment I arrived, I quickly met Endi!!! Always happy to meet him all over again! Then I start preparing my face. 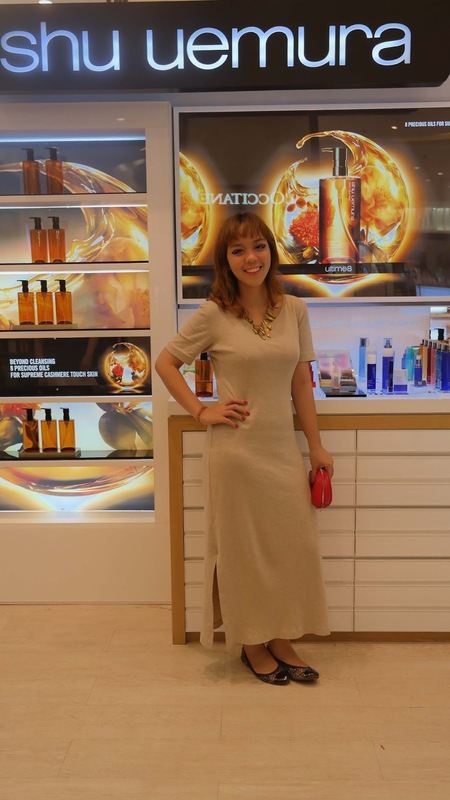 I came with foundation only, and of course, wearing The Lightbulb Foundation, am mixing 764 with 754 on my face. 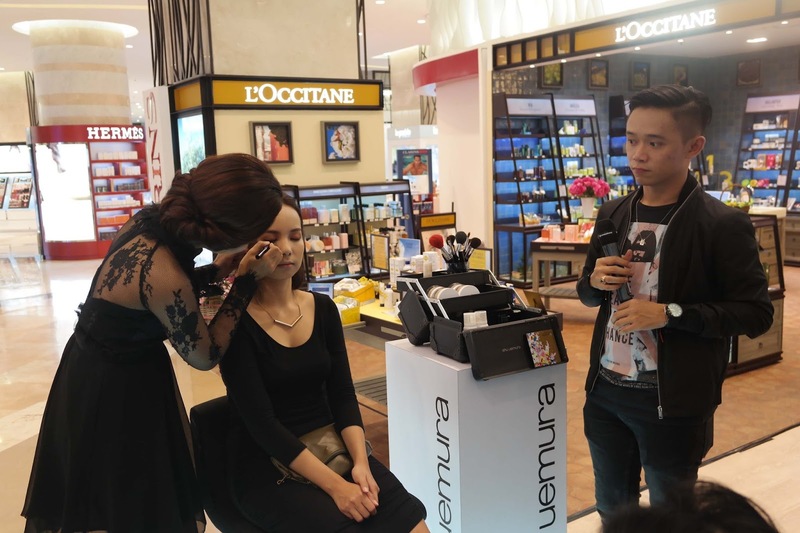 After that, the event starts with the small, simple make up demo by one of Shu Uemura make up artist. And here's the final result of the model! 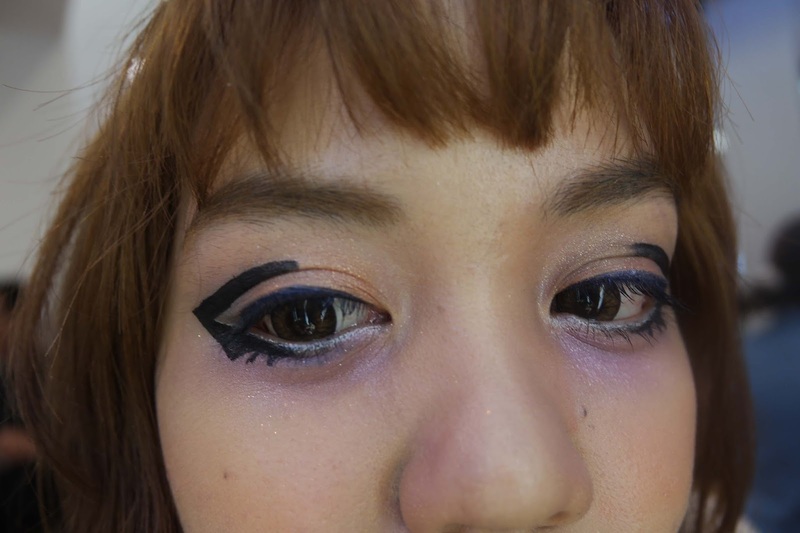 I adore the calligraphic ornament on her eyes done by using Calligraph:ink eyeliner. And right after the make up demo, the competition (plus the fun!) comes! 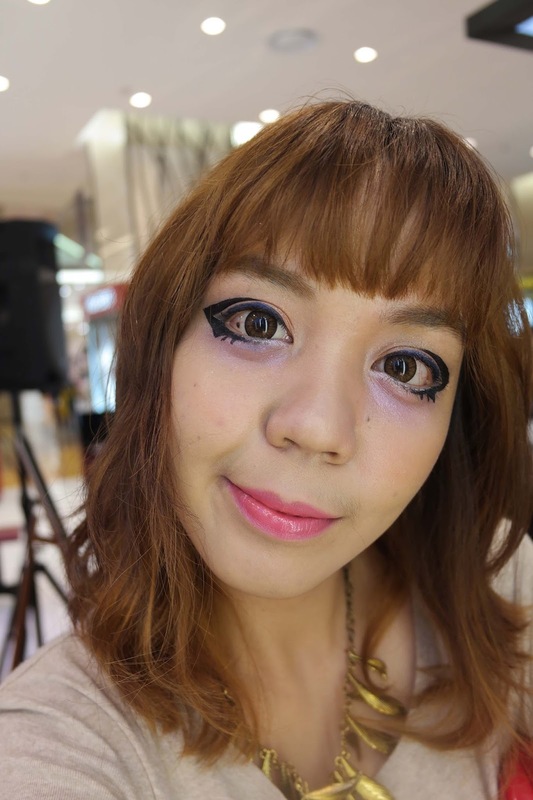 I ended up with a look which is inspired by Dancing Line and Avant Garde created by MUA of Shu Uemura Indonesia. I know it's not that good enough, hehe pardon! Personally, I think that the Calligraph:ink gives a nice black color and it has nice applicator which is perfect for its name. Also, I love the eyebrow manicure cause it matches with my hair! The Lightbulb UV Compact was REAL NICE as well, I put it on my bucket list of make up! It will match my Lightbulb Foundation, even I owned two of it! And personally, I am also in love with one of the Unlimited Rouge lipstick WN295 (if not mistaken), I have such a perfect vampy look with it! LOL, I can't get over it. 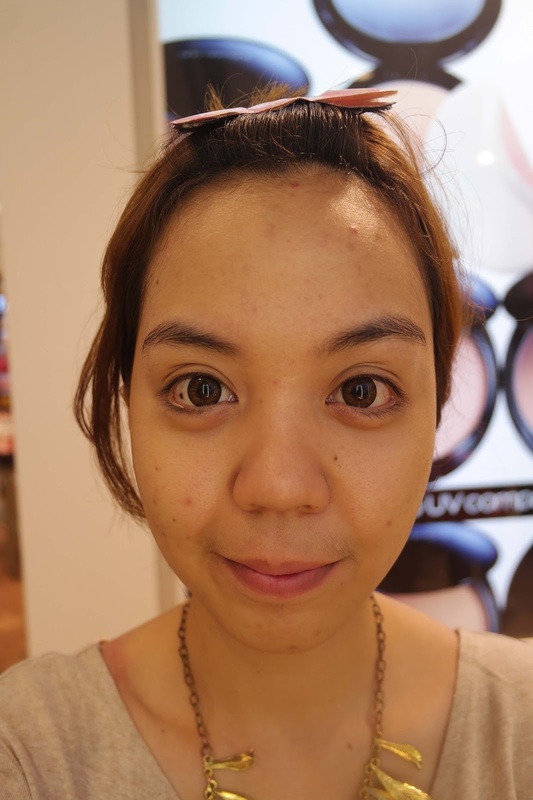 So, girls, if you're looking for nice makeup, I highly recommend Shu Uemura! 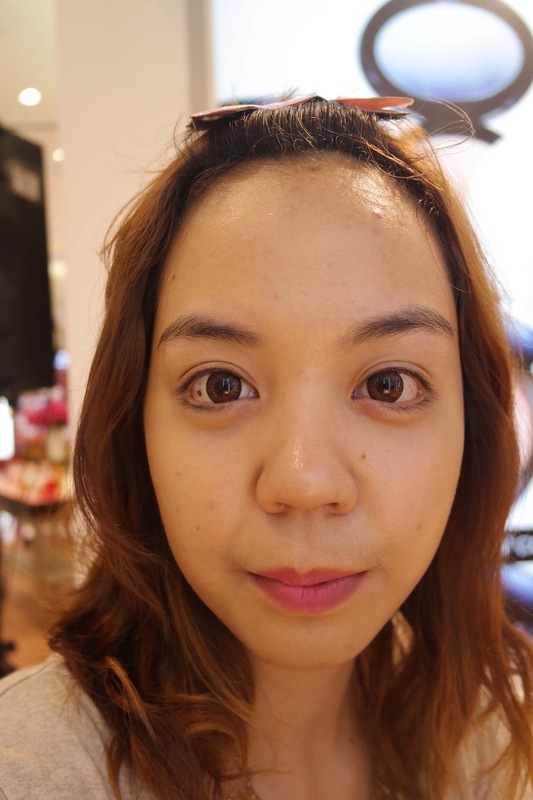 It's Japanese, and Japanese make up never gone wrong! It has such high quality, my heart screams for more! Till, then, buh bye!